Support the first add-on that protects your privacy and your freedom of speech on social networks. Have you read the general terms of agreement of social networks? 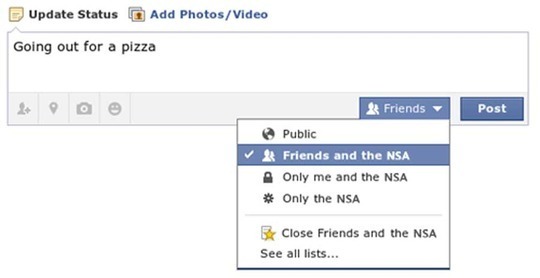 Do you stay up-dated with the changes of privacy settings? Have you published pictures of yourself or your children, talked about your employer, your teacher or what you like or hate? At different levels we all confess a part of who we are to the internet. The problem is that the amount of information you and your friends leave about you will some day come back at you and define who you are, and that is kind of scary...especially in some countries. Are you worried for your privacy and the one of your children? We have created a free tool that helps you protect your privacy on social networks. Are you worried for your freedom of speech? 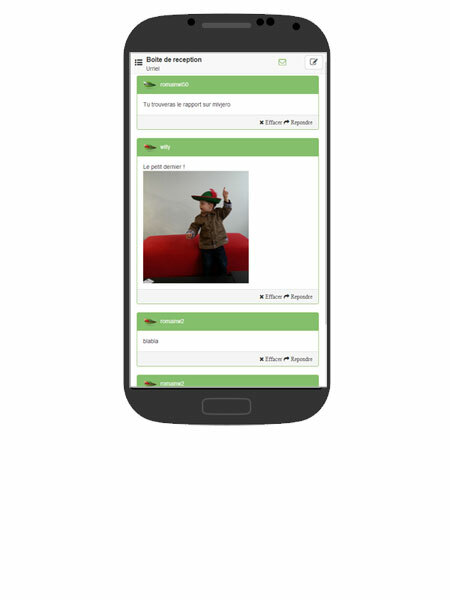 We have designed a tool that allows you to communicate with the whole world discreetly and without censorship. Whether you are a Journalist, an activist, a parent or just an average joe you can stay in control of your publications by choosing who is allowed to read them or not, but also by refusing the social network provider the possibility to save it on a server at the other end of the world. The matter at hand here is the protection of your privacy in a world that is always more connected, by allowing you to enforce your "right to be forgotten". In other words, enforcing your right not to leave indelible traces. That's great, but how do you plan on doing that ? Datarmine (Data are mine) is an internet browser extension that allows you to code (cypher to use the right word), the publications that you consider personal before sending them on social networks. Only the people that you allow to decypher them (your real life friends, press contacts that you trust...) will be able to automaticaly read them. This group of special contacts is managed through a plugin that you install on your browser and works on every social network. In a way its your private network within a network. -You protect your privacy and personal data. -You don't reveal who is allowed to read you to anyone. From there, only the people you authorize to will be able to decypher your pulbication automaticaly, and will see our little green hat right next to it (just so that they know that it's a private publication that is not available to anyone). But now, the question is, of course : what will all the others see? That's where it becomes interesting : rather than simply displaying an encrypted message (so a succession of characters without any sens), we publish an "incentive". Incentives are we we call "social recommandations with a high transformation rate"
Now is when you are probably starting to get scared. Don't worry, you have total control over what incentives are published to hide your protected publications. Not only do you choose who you advertise for (using your private space), you can also choose the exact words that appear every single time. To start with, the only incentives available will be ones in favor of charities or social, art or sports associations. And bam! just like that, your generous; helping out great people by offering them visibility while protecting your privacy. But we know you can do even more! Well because we're sure that you would not mind giving a little money to those charities it we were to give you some first. Here is how it'll work : once you have published a certain number of incentives in favor of charities and associations, you gain the right to also advertise for private brands. These partner brands will pay every time an incentive in their favor is clicked, and we will give you part of that revenue, provided that you share it with some of the charities we are trying to help out. What we are offering you is basicaly to protect your privacy while helping out charities and earning some monney. 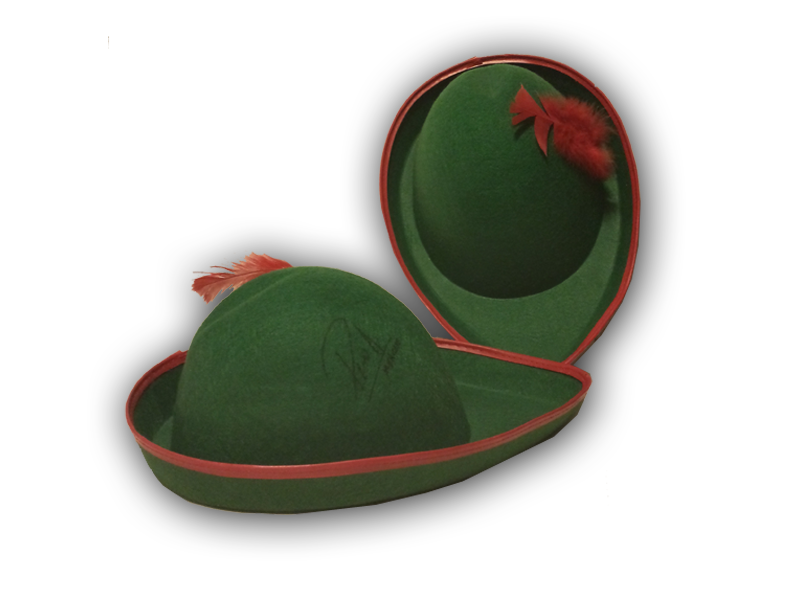 Yes, it's kind of a "Robin hood" idea; and that's where the hat comes from. We are currently in "phase 1" : we have already developped the whole part that protects your privacy and helps charities and associations. Advertising will come during phase 2. Above all we are social business enthousiast entrpreneurs. We are also passionate about technology, and like most dreamers, we hope that we can in some way change the world. We are partners with "internet sans frontière" an association that defends freedom on the internet and that will teach bloggers world wild how to use Datarmine. Sadly, sometimes information comes to a price, we are proud and helping out those that defend it. "Internet sans frontières" has been a huge support, and we want this campaign to also help them out. 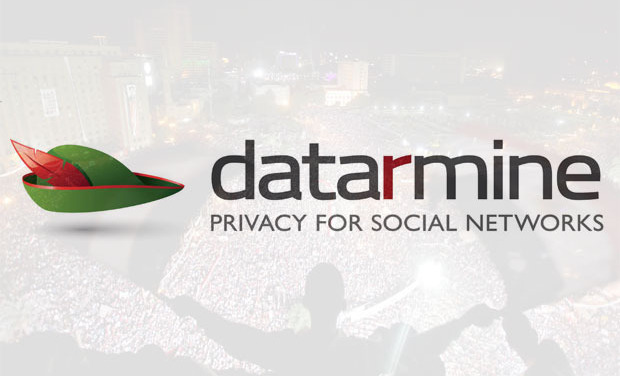 So, to conclude : Datarmine is a free add-on that allows you to protect your privacy. You can use it only for this purpose, but depending on you motivations you can also help charities through publicity and income or earn money. Of course, we do realize that we are facing a much bigger opponent (kind of a David and Goliath thing). So our only weapon here is the speed at which we will manage to create a community large enough to be taken into account. We obviously need financing, but also help with coding and product diffusion. Adapt the product for Firefox as quickly as possible. 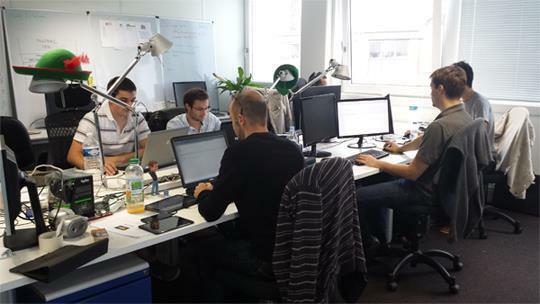 The money wil allows us to out-source the developpement. We estimate that it will take about 8 days of work, each one costing about 800€, which make a total price of 3200€. The second thing we want to finance is an information campaign to promote the importance of privacy and data protection to teens. We mostly want to shoot a clip showing celebrities explaining that despite being fond of social networks they still protect their privacy. Ok, we're from Toulouse so we started with what's the easiest to get for us. We also want to help "internet sans frontières" with its work with bloggers and journalists. If we were to raise more than we ask for, the extra money would be assigned to those awareness campaigns. Thanks for your attention, and don't hesitate to contact us. Please spread the word of what we are trying to, it's just as important as financing to us ! If you're a charity and like our project, please contact us ; we would be glad to help you out. "A journey of a thousand miles starts with a single step". We appreciate your help and want to show it. Your name (or nickname) will be featured on a "THANK YOU PAGE" and on the video clip dedicated to the promotion of the freedom of speech and privacy on the internet. Your name on the Datarmine Thank you page and you get a pre-release version of the Datarmine app for android or Iphone. We add you to the credits of our clip to promote the freedom of speech and privacy on the internet. We will also send you Datarmine stickers, and, if you have a blog or are part of an association; we ADD YOU TO OUR CATALOGUE and write AN ARTICLE about you in our blog. All previous rewards and we offer you a batch of Datarmine condoms ! You also get a unique "kissbanker" badge that will precede you Datarmine username every time you protect a publication. You will also become OFFICIAL BETA TESTERS, and, if you wish, we will publish a video of you or your association explaining why you are involved in the defense of freedom on social networks on our blog. Your name in the credits, the Datarmine phone app, the condoms, and we also send you a DATARMINE T-shirt signed by the whole staff. To complete your look, we will also send you the one and only true DATARMINE HAT ! On top of that we will also offer you 500€ worth of commercial credit if your a brand and wish to use our solidary communication plateform in the future (transferable if you don't have a use for it). All the previous rewards, you get pre-launching versions of just about any Datarmine programs and services and we invite you to lunch. We will also offer you 1000€ worth of commercial credit to promote your firm ( if your a brand and wish to use our solidary communication plateform in the future (transferable if you don't have a use for it). All previous rewards and a unique personalized Datarmine logo for your account, the possibility to participate in the developement of our projects (user testing, etc...) and 3000€ worth of commercial credit if your a brand and wish to use our solidary communication plateform in the future (transferable if you don't have a use for it). We will also throw in the adresses of a few association that would like to thank you directly for your generosity.